PMC Co-Director Dr. David Wolk presents at the 2018 Research Partner Thank You Luncheon. The number of Alzheimer’s cases and related deaths has been sharply increasing, making it what some call a “global epidemic” and “public health crisis”. While the cost of care to our nation is rising, research shows that early diagnosis of cognitive decline could lead to individual and national long-term savings. This year’s Alzheimer’s Disease 2018 Facts and Figures report includes the alarming fact that by 2025, the number of people age 65 and older with Alzheimer’s disease (AD) is estimated to reach 7.1 million, an increase from the 5.5 million age 65 and older affected in 2018. AD is the only top 10 cause of death in the United States that cannot be prevented, cured, or even slowed. Between 2000 and 2015, the number of AD related deaths increased by 123 percent, while other major causes of death such as heart disease decreased in prevalence. Some argue that this is due to the lack of resources that go towards AD research in comparison to other major diseases. These findings highlight the urgency the medical community and government should take in prioritizing dementia research in order to protect our aging population. Penn Memory Center (PMC) is focused on slowing or avoiding some of the problems and predictions mentioned in the report through their research on early diagnosis. The yearly cost to care for the massive number of individuals living with AD or other dementias in the U.S. is projected to surpass a quarter of a trillion dollars, an increase of nearly $20 billion over last year, according to the report. If implemented outside of research, the above early diagnosis through the use of biomarkers could yield significant long-term cost savings for individuals and our nation. The strain of AD can cause serious declines in caregiver physical, emotional, and financial well-being, according to the report. In 2017, 16 million Americans provided an estimated 18.4 billion hours of unpaid care in the form of physical, emotional and financial support – a contribution to the nation valued at $232.1 billion. 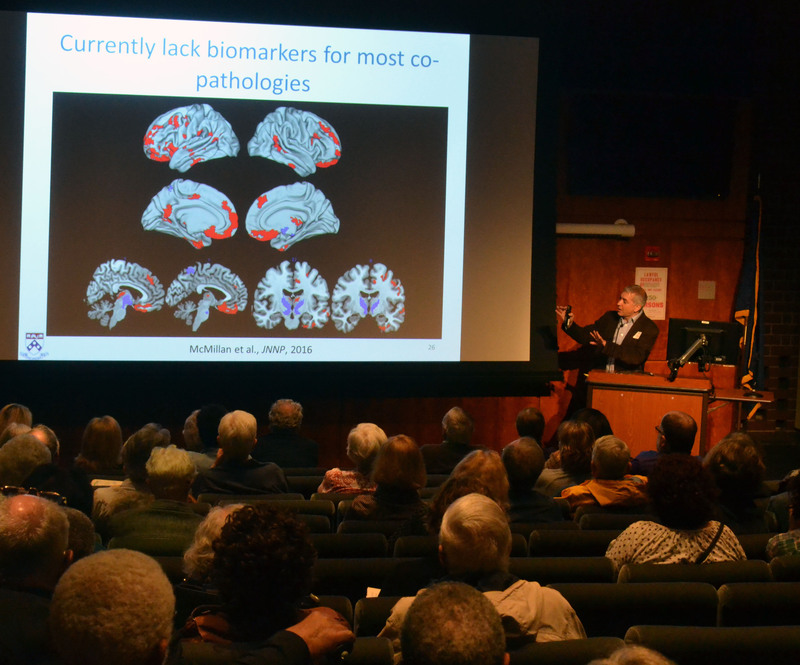 While working to find ways to better diagnose and treat cognitive decline, Penn Memory Center is dedicated to providing programs focused on minimizing patient and caregiver distress. With free events such as caregiver retreats, “cognitive comedy,” and memory café, PMC strives to make life easier for those affected by neurological decline and their families. With organizations like PMC working to prevent some of the predictions listed in Alzheimer’s Disease 2018 Facts and Figures Report, the hope is to slow the public health and financial crises that is the Alzheimer’s epidemic. For the full Alzheimer’s Disease 2018 Facts and Figures report, click here.